Hamsi graduated with her bachelor’s degree in Biotechnology Engineering in 2017 from BMS College of Engineering, India. 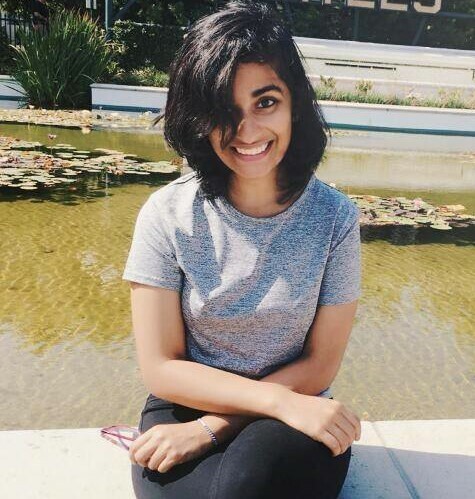 She then immediately began her graduate program in the department of Mathematical, Computational and Systems Biology at the University of California, Irvine. She is particularly interested in exploring how pathological and developmental changes influence brain anatomy and, consequently, its underlying connectivity. She has begun doing so by tying together neuroimaging techniques at multiple levels of detail and resolution: from diffusion tensor imaging to immunohistochemistry and light sheet microscopy. She is also interested in developing mathematical models and designing novel computational tools to better understand and analyze neurological data. Yallappa, S., DR, D., Sammeta, Y., Radhakrishnan, H., Chandraprasad, M., Kumar, A., Hegde, G. (2017). Natural Biowaste of Groundnut shell derived nano carbons: Synthesis, Characterization and its in vitro antibacterial activity. Nano-structures & Nano-objects 12, 84-90.